L & jay Productions takes a special interest in Bar and Bat Mitzvahs and embraces the religious significance of this milestone. 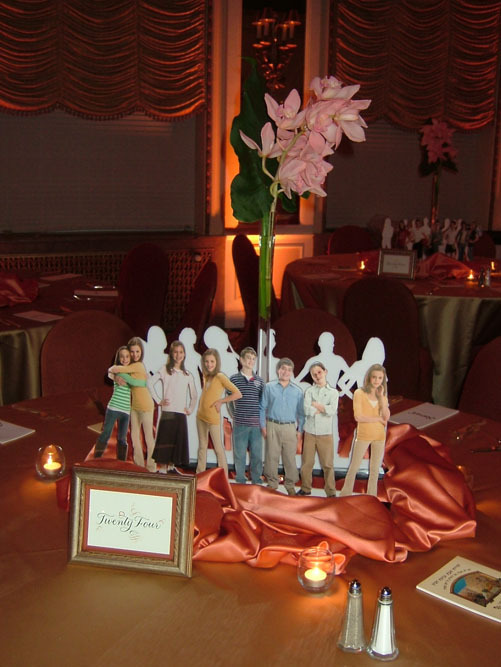 We can lead a client from a formal event that concentrates the religious aspects of the ceremony to a fun-themed event that can highlights the personality of the child and his or her interests. 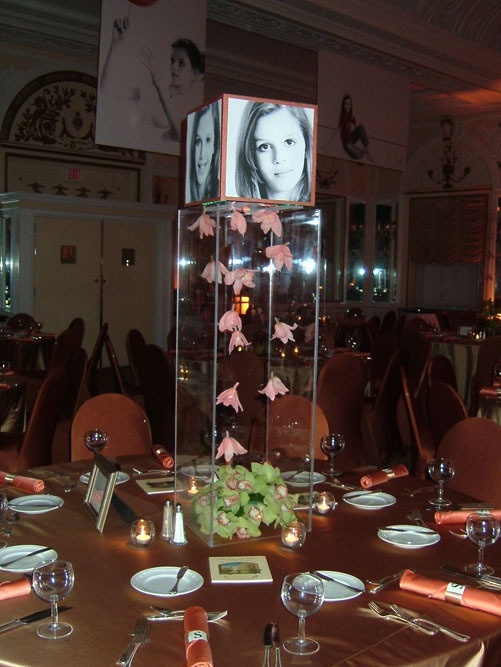 L & jay has designed many unique events with centerpieces and props focused on themes like “The Oscars,” “The Olympics,” carnivals, night clubs, sports, and everything in between. We also take pride in our ability to work with any family who would like to focus on the religious aspects of the occasion, whether using tefillin boxes, observing a coinciding holiday, or even creating distinctive centerpieces highlighting specific religious aspects, like the seven species, into original pieces of creative art. 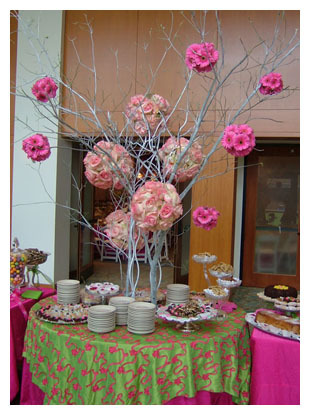 L & jay can also provide linens and lighting to coordinate your event. 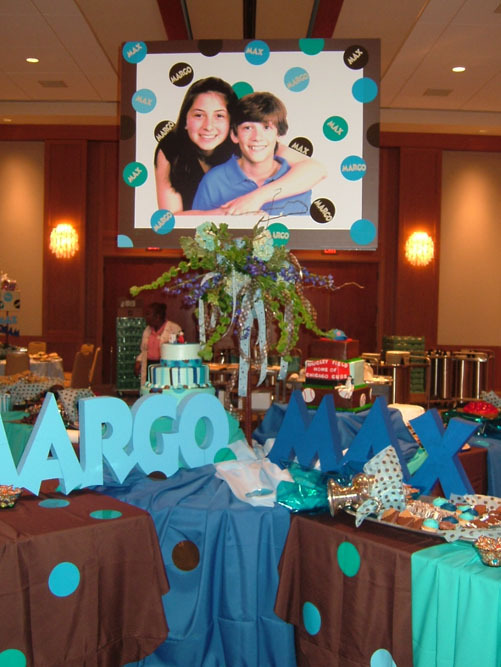 "I just want to thank you for the amazing job you did on my Bar Mitzvah weekend. You are so creative and talented. The day was simple and classy. The night, as my mother put it was “the most classy tennis party I’ve ever seen.” You are so much fun and easy to work with. Cody and Steven couldn’t have been happier. Thank you so very much. Jimmy and I can’t begin to thank you enough for the outstanding job you did at Bradley’s Bar Mitzvah. The room during the luncheon looked fabulous and very appropriate. The flowers really went well with the entire décor. The nighttime decorations were incredible, from the giant banners, to the giant airplane, to the beautiful flowers that complemented all the centerpieces. We could not have asked for anything more. You both are always such a pleasure to work with and you truly run a first-class operation. One of these days we’re going to actually convince you to stay at one of our parties. We really appreciated all your hard work and creativity and we look forward to sharing many more wonderful events in the years to come. I just wanted to thank you for everything you did to make Adam’s Bar Mitzvah weekend so great! The plate stands for the luncheon looked great! I loved the flowers on the ark and on the “kippah table.” You are always so nice to work with, and so accommodating! Thanks again for everything– your creativity, your professionalism, your hard work, and your kindness!! My family and I truly appreciate it! Spectacular! Fantastic! Beautiful! Exceeded my expectations! 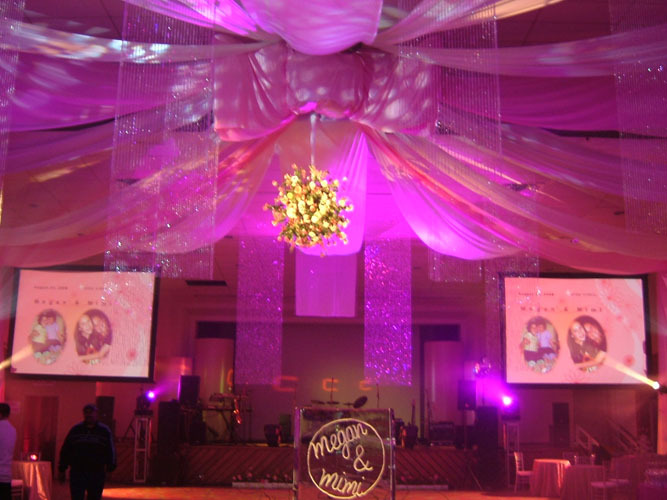 You did a superb job in creating the atmosphere for Eliana’s Bat Mitzvah. What I appreciated most was your ability to listen to what I wanted, give lots of great input, & collaborate together. You have a very special gift. I always felt understood when speaking with you. The results were beyond what I imagined. Thank you so much for everything. I’ve been singing your praises often.